I feel a bit of a fool for asking for help on this identification, but the automatic identifiers of RSPB etc have drawn a blank. 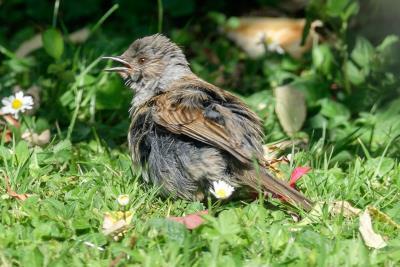 The birds were about the size of a Robin, sighted in a London garden. One in late April (on the feeder), the other late June (having what looks like a bad feather day). 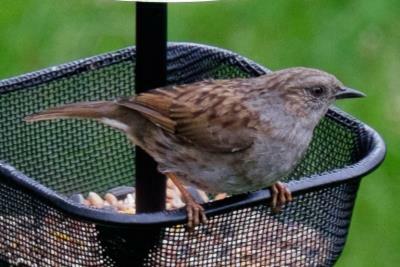 3 Definitely a Dunnock, commonly called a hedge sparrow.. The upper on appears to be a juvenile - not formed beak and the lower an adult.